It has been the most challenging period in the dairy’s short history, with March proving unseasonably wet and forcing the team to continually think on its feet in order to keep our heads above water….excuse the pun! Our grassland has been managed exceptionally well during this period and although we’ve had to feed more supplements to the cows we’re delighted with their condition. 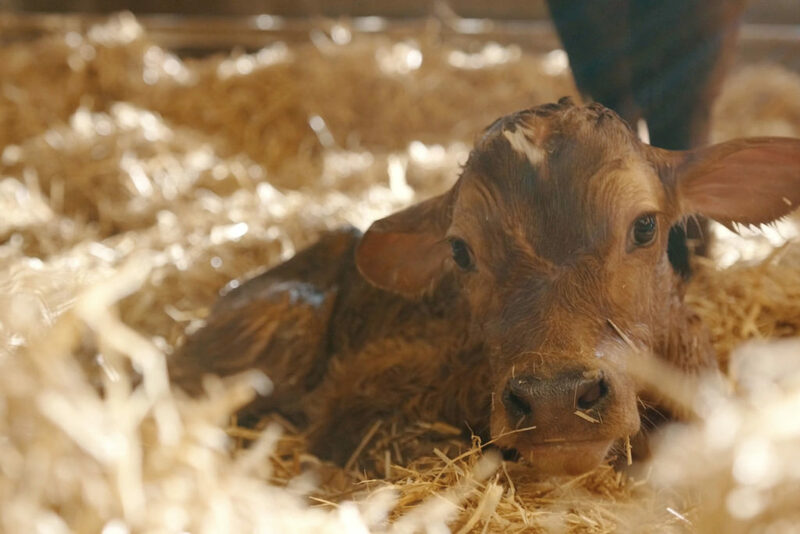 Calving is joyous and hectic in equal measure and we learned a lot from last year. We’ve got some great people at the dairy and they worked well together when under pressure from the elements. The run-up to calving is, in many respects, as important as calving itself so it was good to execute the plans and keep both tempo and morale as high as possible. But while all was going well in the calving sheds, the constant rain means we struggled to get some of the outdoor jobs done on time – the fertiliser was delayed, planting the fodder beet was behind and we were massively late on reseeding the grass. We haven’t worked stupid hours and while everyone has been pushed we’ve now moved back into a more traditional shift pattern. Indeed, given the appalling weather and the extra inputs, our team has done remarkably well.